Continuing the blog series on meat and livestock, this week I am going to focus on abbatoirs and the meat trade, again drawing on our work in Masvingo. Just as we have seen with the retail and production ends of the value chain, the ‘middlemen’ who source animals, slaughter then and supply butcheries have also been changing. In the past the Masvingo trade was dominated by a narrow group of abbatoirs – essentially Carswell and Montana, together with the CSC (Cold Storage Company). 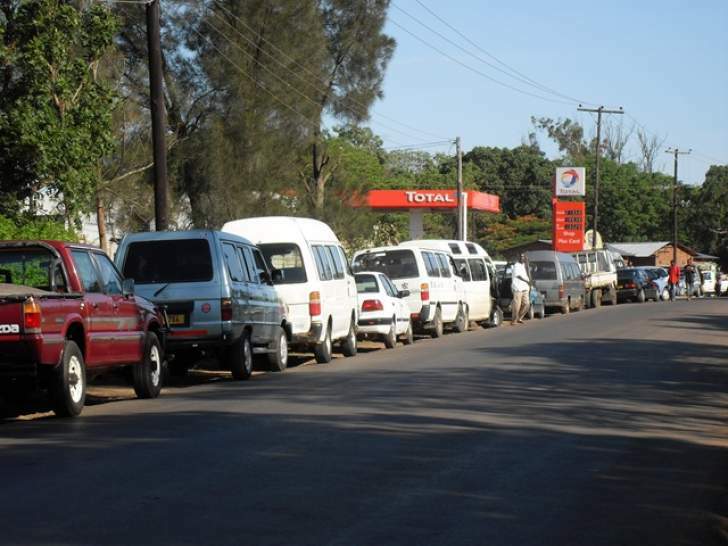 They were organised around an external trade, mostly to Harare. With the CSC now effectively defunct, the big two remain, and continue to have a healthy trade in the province. Still around 90% of their meat ends up in Harare, although Montana has a number of shops and butcheries elsewhere. Both have networks of buyers who work across the rural areas, sourcing animals which are then transported to the Masvingo-based abbatoirs. They both rent farms near town to act as holding and fattening areas, so as to assure even supplies and higher value. Several thousand head are held on farms near Masvingo at any one time, involving paying grazing fees of $3-5 per beast per month. With the decline in beef production in the Highveld following land reform, assuring supplies from Masvingo is essential. Local producers however complain about the prices at these two abbatoirs, plus the fact neither pay for the ‘fifth quarter’ (offal etc. ), yet this is sold on. In recent years some other abbatoirs have sprung up serving a different market. 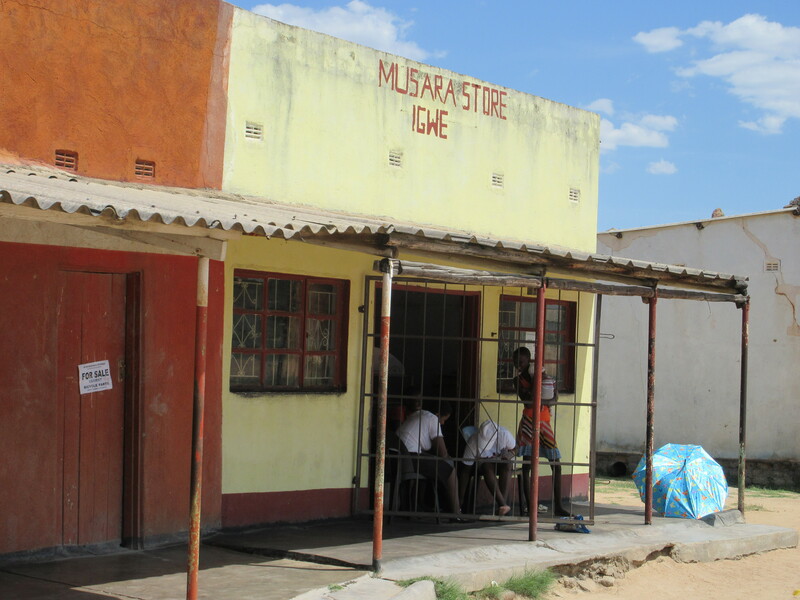 In Masvingo there are currently three, each reflecting differences in the customer base. Kismet is linked to a farm and so has direct access to animals. In addition the owners buy at auctions in Mwenezi, Bikita and elsewhere. They have restaurant and butchery in town, and so have a fairly well organised and vertically integrated business. They offer service slaughter, but most people currently prefer Gonyohori abbatoir. Farmers come to abbatoir for service slaughter, and the abbatoir has very good links with butcheries in town. Mr Machingambi says: “I link producers and buyers at this abbatoir”. Although there is no refrigerator, butchers know when meat is available and around 5 beasts are slaughtered each day. Nearly all the meat is economy grade. As Mrs Foroma explained “Meat is meat” in the market she supplies to, and Gonyohori supplies is efficiently and complying with safety standards. The only other abbatoir, Tafira, has gone downhill recently, and used to be the favoured place for service slaughter. The links with the butchery and restaurant trade are not so well developed, although on relative has a butchery in Zvishavane. The other option is to buy from ‘under the tree’ pole slaughtering sites. Most butcheries do not prefer this because of the health risks, but some argue that as long as the meat is fresh, it is fine, and much cheaper. A number of people operate such sites, although they are constantly being closed down by the municipal health authorities. Another option is to buy from meat traders who purchase animals, have it slaughtered and sell it on. Again there are complaints about health standards, but the supply is regular and efficient. Mr C explained his business: “I entered the business of meat trading through bartering scotch carts for oxen. I make good carts, and there is a demand. I now buy cattle from those who urgently need to sell” He sources from Mushandike and surrounding areas, and moves them in his 1.5 tonne truck. He rents space in a shop and distributes to butcheries after slaughter. “I regularly supply butcheries. I’m now a petrol attendant, so everyone knows where to find me”, he explained. Others have entered the trade, finding it lucrative. A group of veterinarians in the district office for example buy up heifers and barter them for oxen or cows who no longer produce milk. They leave heifers with local farmers they trust and exchange across the district. They can also buy for cash. Animals are then slaughtered in town either for cash, or as part of advance deals with butcheries and restaurants. The syndicate buys up to 5-6 cattle per month, and given their expert knowledge and access to farmers they make a good profit to supplement their meagre government salaries. Finally, there are ‘beef committees’ operating across the rural areas where single animals are bought by a group, usually of civil servants resident in the rural areas. Teachers, police, extension workers and others may be members. This allows a supply of meat which by-passes butcheries and supermarkets, allowing premium deals to be struck. All such transactions are expected to be regulated, often by multiple authorities. This can sometimes cause confusion and cost. The police have to be involved for any transport of meat or live animals, as a way of preventing stock theft. The veterinary department too must provide certificates for movement, to avoid disease spread. And slaughter places are supposed to be regulated by the health authorities, particularly in urban, municipal areas. Farmers, traders, butchers and abbatoir owners complain that this plethora of regulations, and the involvement of so many different people can be a problem. If someone arrives late or not at all a deal may be lost, or meat may be left unrefrigerated for a long time. Sometimes transport is provided to the relevant people to facilitate the process, but the right people have to turn up with the right forms at the right time. Sometimes too the process is smoothed by a bribe or a gift, and increasingly this has become the pattern. But this too can slow down transactions as officials bid for a better level of compensation. The beef value chain is certainly complex and diverse with multiple different actors at each stage. But it does seem to work: cheap, safe meat is provided to the customers that want it, and quite a number of people get gainful employment in the process. But is the current, often highly informal, system efficient and effective? Too often we deem anything informal as in need of reform, with a need to formalise, structure and regulate. Yet this system is responsive to diverse demands, and apparently flexible to changing supply situations. Indeed, the main thing that seems to slow things down, and add sometimes unnecessary cost is the complex system of regulation, now associated with bribes and payments. While such regulations and controls are clearly necessary, a more streamlined system is clearly needed to improve returns and value. As next week’s blog shows, this is even more important in the context of rural livestock marketing. ‘Resource nationalism’: a risk to economic recovery? In a recent presentation, Southern Africa: Economic Prospects 2012, Professor Tony Hawkins from the University of Zimbabwe, offered some notes of caution about Zimbabwe’s economic recovery, despite the high growth rates being recorded recently. He argues that Zimbabwe is becoming “increasingly resource-reliant with the share of GDP of agriculture and mining together now virtually double that of manufacturing”. This structural change is illustrated in a table, contrasting the share of GDP and percentage of exports in 1990 and 2010-11. Exports he explained “now contribute half of GDP – up from 28% – while the share of primary exports is up 95% from 82%. This reflects the de-industrialization of the economy”. He continues: “…if Zimbabwe is to re-industrialize, firms will need to have very different business models from those of the past”. But, he says policymakers are fixated “on capacity utilization, strategic industries, import substitution, self-sufficiency and local ownership”. This, he says, is “more likely to accelerate de-industrialization than reverse it”. He argues: “Resource nationalism takes many forms ranging from higher mining taxes to indigenization and local ownership laws. Regardless of what form it takes resource nationalism fails unless its long-run focus is on wealth generation, not asset ownership and short-termist wealth exploitation”. Reflecting on the statistics, he comments: “Today the Zimbabwe economy is recovering – not growing – by consuming its wealth. The country has increased its reliance on resource-depletion growth, while failing to diversify production and exports and invest in the future”. From reviving uncompetitive firms that have passed their sell-by date to start-ups and new entrants. From near-term income growth, reliant on wealth depletion and consumption, to long-term growth sustainability based on investment and competitiveness”. These are all certainly good aims, and the note of caution about how mineral and agricultural riches can be fragile, if not reinvested is important. But the commodity boom driving economic growth across Africa is not going to go away. Africa is resource rich, and the demand for these riches is growing, particular in Asia. The new geopolitics reflects this as China, India, the Middle East, Brazil and others seek out alliances in Africa in order to secure access to resources to fuel their own economic growth. This new world order is what Hawkins calls the ‘new normal’. Rethinking the political economy of growth in the era of the commodity boom will require accommodating these new realities, but also guarding against the risks, making sure the new riches are broadly shared and appropriately invested, and keeping the new investors accountable and avoid dependency in a new periphery. This will be a major challenge for future economic policy, in Zimbabwe and beyond; one that will require some major rethinking.